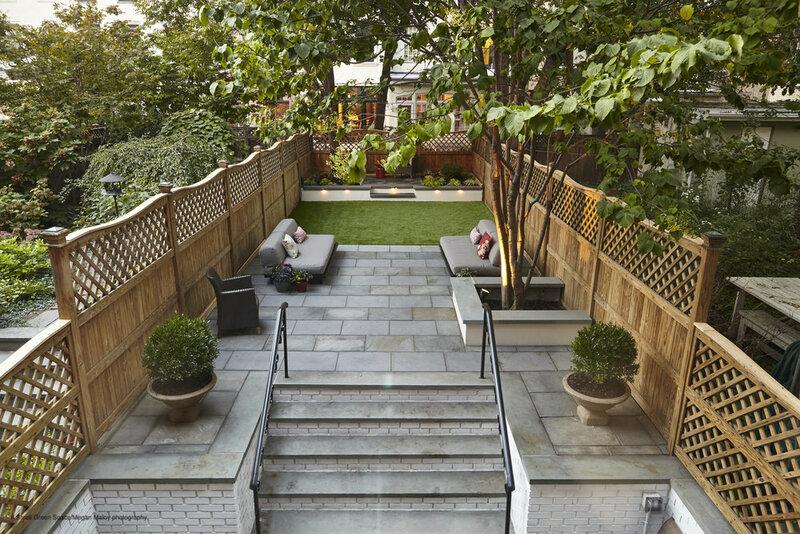 The design process begins with us viewing your outdoor space and brainstorming the ways in which the space might evolve. We will discuss your likes and dislikes as well as your practical demands of the space and other topics essential to create your unique, perfect out-door room. We will follow up our initial consultation with a broad outline of the design concept. Once a design is commissioned, we return to document the space(s). Next, a design will be rendered by hand and detailed plan created. We can install any space that we have designed. From fencing to patios, to decks and arbors, to plantings and furniture selection, we have the expertise and experience to handle all of your build needs. We offer various maintenance packages from one-time garden clean-outs, fall cleanups, spring spruce ups to ongoing maintenance services. Maintenance services include pruning plants, small ornamental trees, and shrubs; fertilizing, irrigating, mulching beds; mowing, aerating, fertilizing, over-seeding, and mulching of lawns; raking and sweeping. 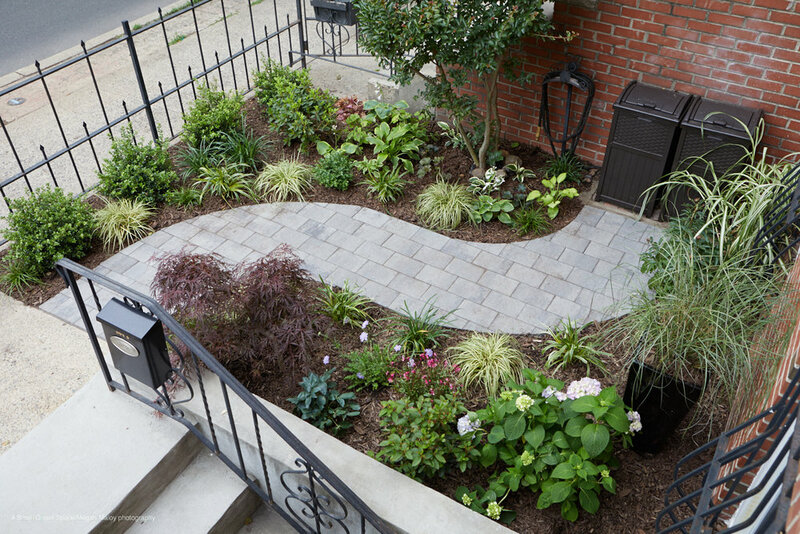 Our team of professional urban gardeners will leave your space ready for you to go out into and enjoy.